Inspired by an article in this week’s Guardian about older people in cinema, I thought I would take the opportunity to write about perhaps the greatest film to come out of Hollywood's Golden Age - Make Way For Tomorrow. Championed by the likes of Orson Welles and Erroll Morris, Leo McCarey's 1937 feature also provided the narrative concept for Ozu's legendary Tokyo Story - it's only an unfortunate quirk in movie history that has lead to the film being almost forgotten rather than rightfully and righteously celebrated as cinema at it's most humanistic, earnest and illuminating. A brittle and emotionally vast piece of cinema, Make Way For Tomorrow dissects not just what it's like to be old, in a world which changes with a pace which regards not those who will be left behind, but what it's like to be in love, what it's like to be afraid. It's a film about the selfishness of the heart, but also how infinite love can be. It's a downbeat movie in which, perhaps, love can't conquer all, but the fact it can never be extinguished gives hope to us all. 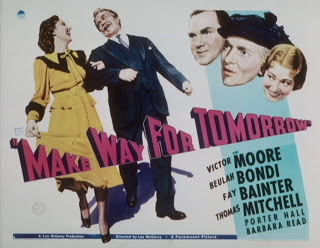 Make Way For Tomorrow is the tale of Barkley "Pa" Cooper (Victor Moore) and Lucy "Ma" Cooper (Beulah Bondi), an elderly couple who, for all intents and purposes, have outgrown their usefulness in the world - in fact, to their children, the couple are positively burdensome. That they have now lost their home to the bank, a situation which will render them homeless, only adds to their problematic nature. As the children realise the inheritance they were expecting to receive has fallen away, a plan has to be made as to where to relocate their parents. It’s almost like drawing short straws as they work out that none of them are able, or more accurately willing, to take in both – ultimately it is decreed that the parents will have to split up with one each taken in to stay with their children at separate sides of the country. Whilst the trauma of losing their home was something Ma and Pa Cooper could no doubt deal with, losing each other is the one thing they certainly could not. Yet, dignified as they are, the Coopers accept their children’s decision and plan to weather the storm with the hope of one day being reunited. The idea, on paper a good one, seems to lack sense even as a temporary measure. Separated, the Coopers find it difficult fitting in – their old fashioned ways, acceptable to each other, become burdensome for their children who struggle with the practicality of looking after them. Barkley refuses to co-operate with a doctor, he appears too young to be trusted, and Lucy fails in her bonding with her grandchildren quite considerably – McCarey does not flinch in portraying their social embarrassments in devastating and inevitable detail. Ma and Pa struggle to adapt to a life in which they no longer have the centre of their universes close to them and their children get increasingly agitated at the problems they cause. A more permanent solution, they think, may have to be found. The children, as selfish as they are, are never portrayed as evil – simply they have a selfishness embedded in their soul that can often be found in individuals who have enjoyed privilege and never understood their parent’s sacrifices for them. In many ways, this is a much sadder state of affairs. Yet for all the doom and gloom the film has a terribly romantic heart too – our doomed couple end up briefly reunited after some time apart on a night which, whilst it’s never spoken, almost certainly constitutes their last ever date. And what a date it is too! With worries far from their mind – it’s amazing at how much fear and anxiety can be washed away by a pair of loving eyes staring adoringly – the couple serendipitously find themselves living a fantasy afternoon, a life which could have been theirs if it wasn’t the existentially banal, but very real, threat of financial ruin. A drink and a dance in the hotel where they had their honeymoon together, over half a century earlier, banishes any fear from their mind – in this moment, like in their first stay in the hotel, the only thing that matters in the whole, wide world is the person facing them in love. The glory of this third act twist comes from the emotional impact of seeing our leads lose everything they ever had or could ever wish for and, for a brief moment in time, receiving it all back again and more too – it’s a heavenly moment for the Coopers and, indeed, for us the viewers. Whilst real life can be humdrum and drab, as as Make Way For Tomorrow shows us in agonising detail, miracles can happen too – none more so than how the world feels when you’re accompanied by someone you love with all your being, when you are stood, side by side, with your reason to live. It seems barbaric that anything could get in the way of this, particularly something as unsubstantial as money, yet for the audience, as we watch Ma and Pa embrace in dance, we wait with fear and dread for a tomorrow to come, a time when real life will claw its way back into ghastly, brutal existence. 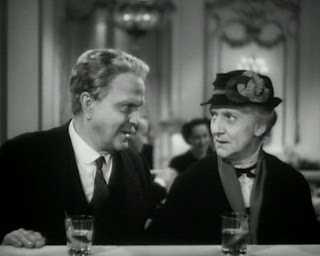 McCarey makes the wise decision to remain as unobtrusive in his direction as possible allowing for a pair of bravura performances to dictate the emotive flow of the film. 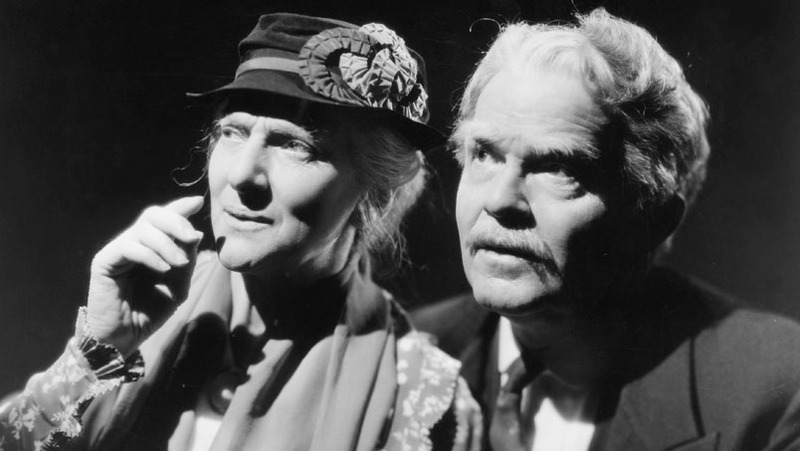 Victor Moore and Beulah Bondi provide exquisite performances that give Make Way For Tomorrow it’s beating heart; in a world of selfishness and anxiety, the duo light up when they’re together. The duo perfectly encapsulate the worries and fear of two old, confused people who are being left behind by the world - whilst everything around them changes, and their children too, the one thing that will always remain constant and immutable is their love for one another, something Moore and Bondi capture perfectly with their understated glee in each other's presence. Famously Tokyo Story, the film this inspired, ended with the line “Isn’t life disappointing?” Yet, whilst this is certainly true and highlighted by selfishness of the Cooper’s children, it’s hard not to take the unabashed moment of joy found in their last night together and think that life can be pretty darn beautiful too. Perhaps Orson Welles was closest to summing up this film when he stated “it would make a stone cry” – tears of sorrow may fall, but equally they’ll be washed away with tears of joy.